Comments Image by François Schuiten from the La Fièvre d'Urbicande album. Published by Atlantic 12, and printed on Biotop 300 gram paper by SP Production for the occasion of the publication of the first integral album of the Obscure Cities. 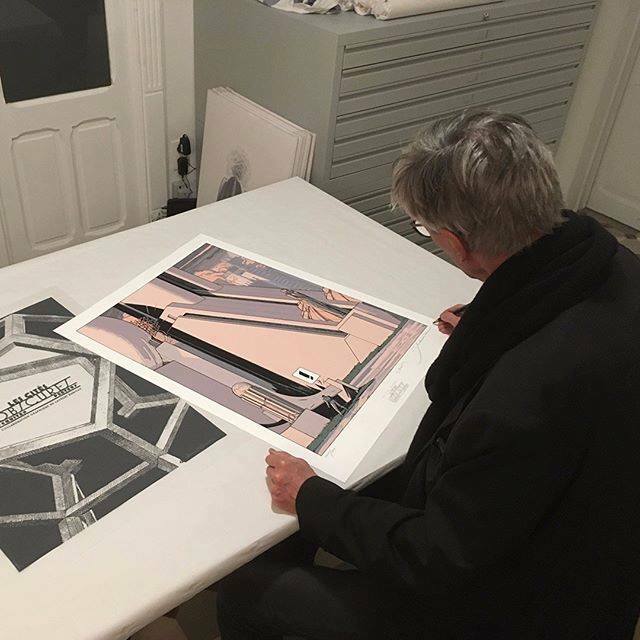 The print is signed by François Schuiten and Benoît Peeters. The edition is limited to 100 copies and 30 artist copies. The colouring of the image is done by Laurent Durieux. He used pastel colours and half hues, as he wanted to stick to the 80s when La Fièvre d'Urbicande was first published 1). The print is protected by a papersheet signed by Durieux. The print was sold at release for 200 euros 2). 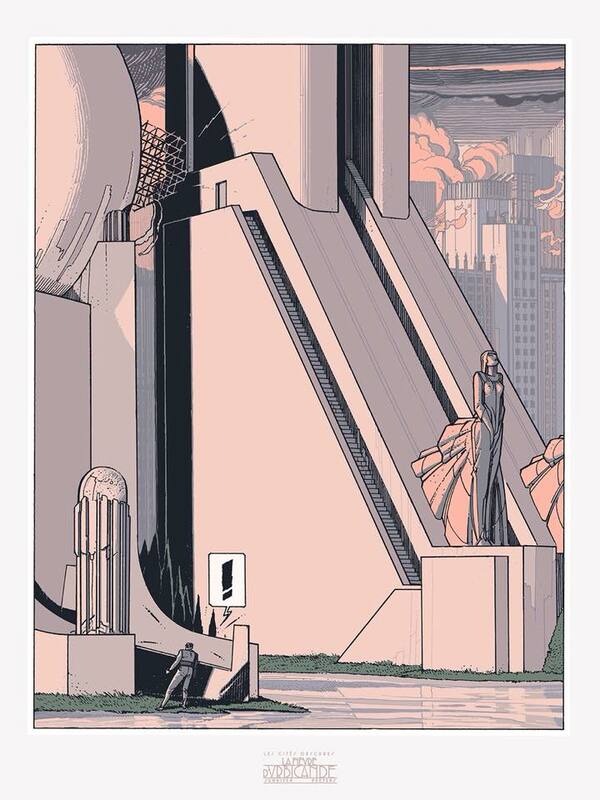 Laurent Durieux made a video of the print. 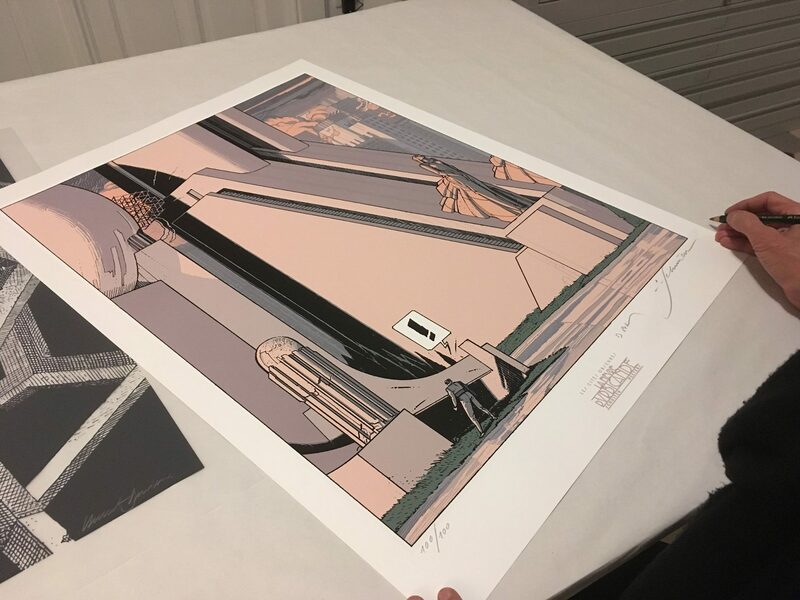 The print is protected by a cover sheet made by Laurent Durieux. The sheet is transparant on some parts. Initially a different image of La Fièvre d'Urbicande was proposed as print. It has the same pastel colours and half hues as a reminder of the 80's.